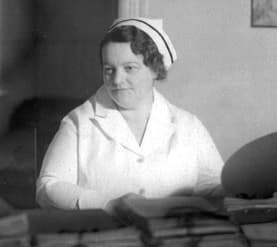 Rene Caisse, a Canadian nurse, is linked to the essiac formula in the early 1920's. She volunteered her time and efforts to treat countless cancer patients, seemingly helping them restore health with her herbal treatment. The first documentation of use of the essiac formula can be traced to Caisse. As the story goes, she learned of the treatment from a woman in the early 1920's. This particular woman had been treated with essiac for her breast cancer by an Ojibway medicine man thirty years prior. This woman told Caisse about how her tumor had been eliminated by the formula, and Rene Caisse asked the woman for the formula. Rene Caisse called the formula "essiac." Do you know where this name came from? It's Caisse's last name spelled backwards! Caisse began to treat terminally ill cancer patients with the formula in the mid-1920s. She began with her aunt, who had been diagnosed with stomach and liver cancer and was given just six months to live. Her aunt lived much longer than six months--she lived for twenty-one more years, with absolutely no recurrence of cancer. Caisse and Dr. R.O. Fisher began experimenting with essiac in a "lab" in her mother's basement. After a group of eight doctors witnessed the miraculous recovery of a man under her care (at the doctors' request), those doctors sent a petition to Ottawa requesting that the government provide Caisse with facilities where she could administer her treatment. Sounds like a great idea, but someone didn't think so: Not only was the petition denied, but Caisse actually was close to being arrested for practicing medicine without a license! The only reason she escaped arrest is that she had provided free treatment. In the late 1920's. Dr. W.C. Arnold and Caisse performed experiments on mice. The mice were injected with Rous Sarcoma, and then treated with essiac. The results? They lived fifty-two days, which was longer than any of the mice lived with any other treatment in the experiment. 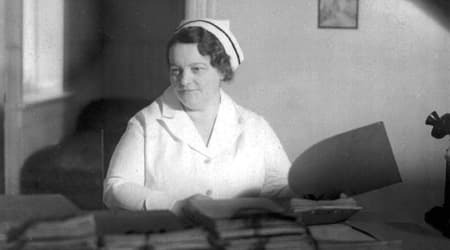 Caisse decided to quit nursing in 1929. She began devoting all her time to essiac research in her apartment in Bracebridge, Ontario. She was remarkably successful treating terminally ill cancer patients--people who had basically been given up for dead by the medical establishment. Caisse drifted in and out of the public spotlight over the next several decades. Her priority was to perform her work with cancer patients while trying to avoid public persecution. The authorities tried to have her arrested many times, but were not successful. Caisse went to great lengths to protect her formula. She believed that it had the potential to be exploited by money-hungry marketers, or pushed under the rug by the medical community in favor of their own self-interests. She continuously refused to reveal the formula because she feared the motives of others. In 1977, Rene Caisse signed over a four-herb formula to Resperin Corp. of Canada, under the stipulation that Resperin completed clinical tests on the formula. The agreement dictated that if they did not complete these tests, Dr. Charles Brusch would have control of the formula (Dr. Brusch and Caisse had performed clinical tests on essiac together in the 1960's). It turns out that Resperin never completed the tests, but for some reason the formula continued to remain with them. Many companies today sell the four herb essiac formula and reference that the formula can be traced back to this Resperin agreement. However, Rene Caisse always believed in her eight herb formula and only relinquished a four herb formula under much pressure from outsiders. Click on this link to learn more about Rene Caisse and Dr. Charles Brusch, who together researched the eight herb essiac formula.